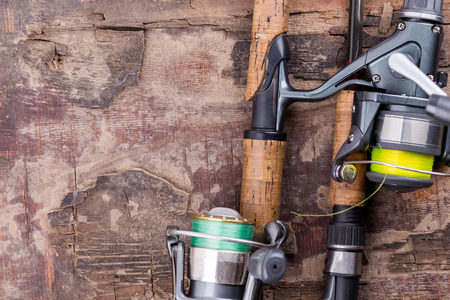 Does the Color of Your Fishing Line Matter? While the color of a fishing line may seem trivial at first glance, it’s a significant factor that needs to be considered before hitting the open water! When you need a trusted fishing line, clear line is your answer. This color line is practically invisible underwater, proving easy to stay under the radar of fish nearby. A yellow line is for those who want to see the line. This way, you’ll be alerted to any movement, and lure your catch in quickly. Of course, this has its negatives: fish may be less inclined to bite onto a yellow line, if they can see it. But if you’re an angler looking for a big catch — especially in darker, dirtier water — than a yellow line is just for you. Green is, perhaps, the most applicable of these colors. It can be used in practically any type of water, but is preferred in green-hued water, which, we’d bet, you’ll be fishing in mostly. Same goes for blue line when trying to blend into bluer water. The green and blue lines can be camouflaged, thus making it easier for fish to latch on. And in other bodies of water, these colors are visible, and easier to follow! So even though we supply everything on the Triple Trouble, it’s important for every expert angler and beginner alike to know the tricks of the trade. Interested in testing your line on the Gulf waters? Give Captain Chad a call at 256-431-5767 to learn more about booking your fishing charter trip!